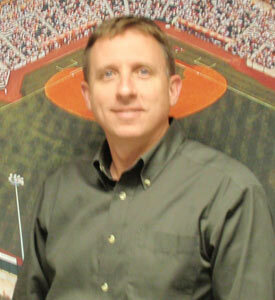 Brian began his baseball career as an intern with the Greenville Braves in 1987. After Greenville his career traveled him through Welland, Ontario with the Welland Pirates, Charleston, West Virginia with the Wheelers, Elmira, New York with the Pioneers, before he relocated with the team when it moved to Lowell. In addition to overseeing the team's concessions operations and game day staff, Brian oversees the Spinners corporate partnerships, ticket sales and group sales. He resides in Hudson, New Hampshire with his wife, Joanne, and their six children: Shannon, Tristan, Erin, Caitlin, Madailein and Darian. He enjoys spending time with his family and is actively involved with his church, St. Kathryn's Parish, and the Special Olympics.